Balzer + Bray, 9780062680341, 320pp. 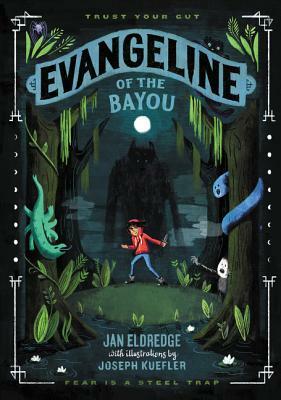 Jan Eldredge was born and raised in Louisiana and is the author of Evangeline of the Bayou. She now lives in Florida with her husband, their children, and a house full of cats. When she’s not writing, she spends her time reading, going to theme parks, and exploring old cemeteries. She is particularly fascinated with monsters, magic, and all such eldritch things. Learn more about Jan at www.janeldredge.com.